eVouchers can be ordered online and sent straight to the recepient by email to be used either online, by phone or by post. To buy an eVoucher, go to our eVoucher page in the gifts section. 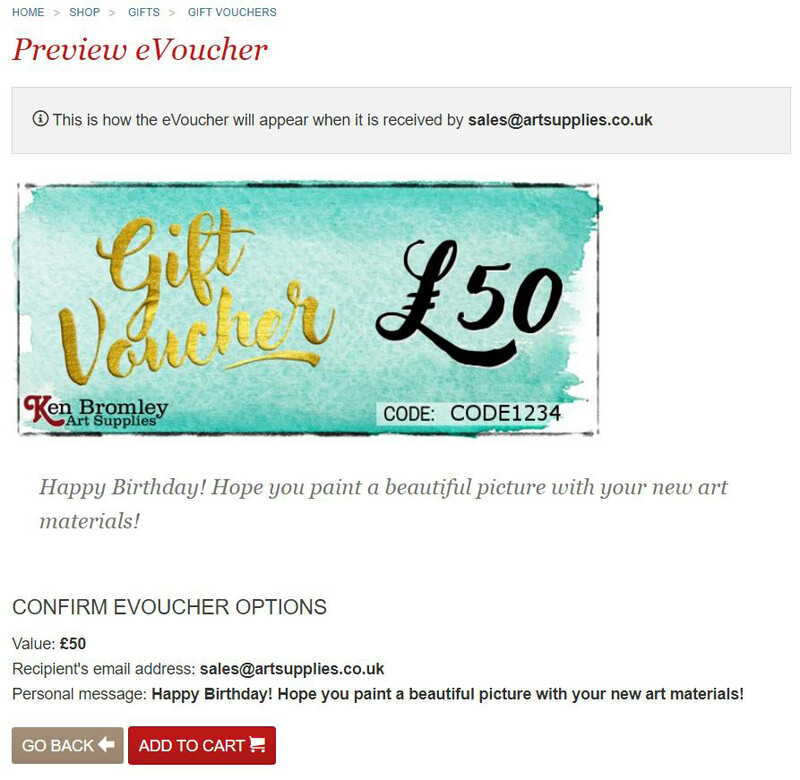 Write a message which will be displayed in the email with the voucher. When you are happy with everything, click 'Purchase'. 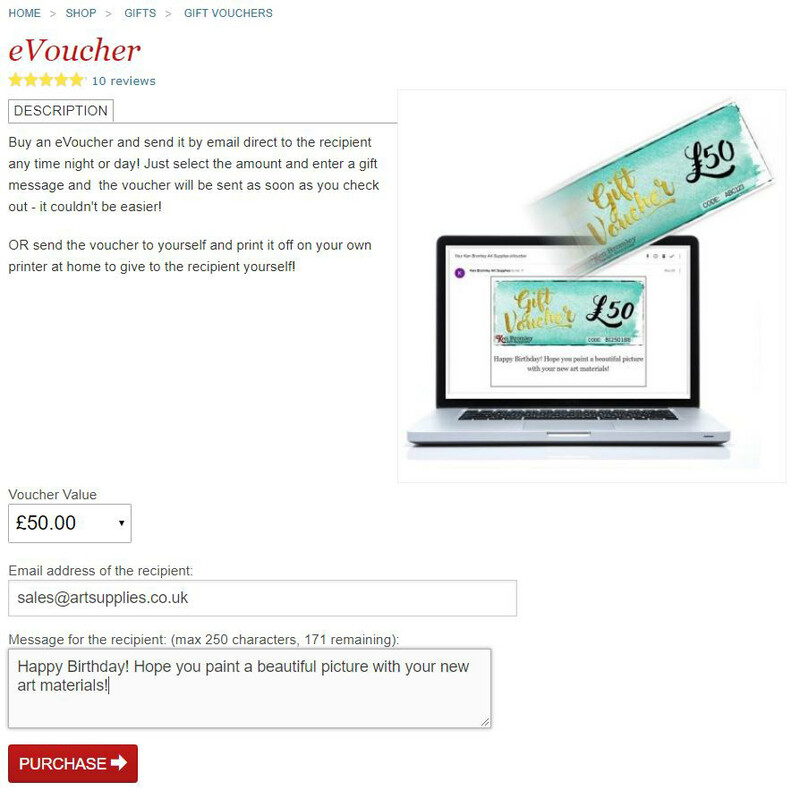 You will then be shown a preview of your voucher and message as it will be sent on the email. You can either choose to go back and edit any of the fields, or add the voucher to your cart as it is. If everything is correct and add the voucher to your cart, you can either continue shopping, or go straight through the checkout process as normal. 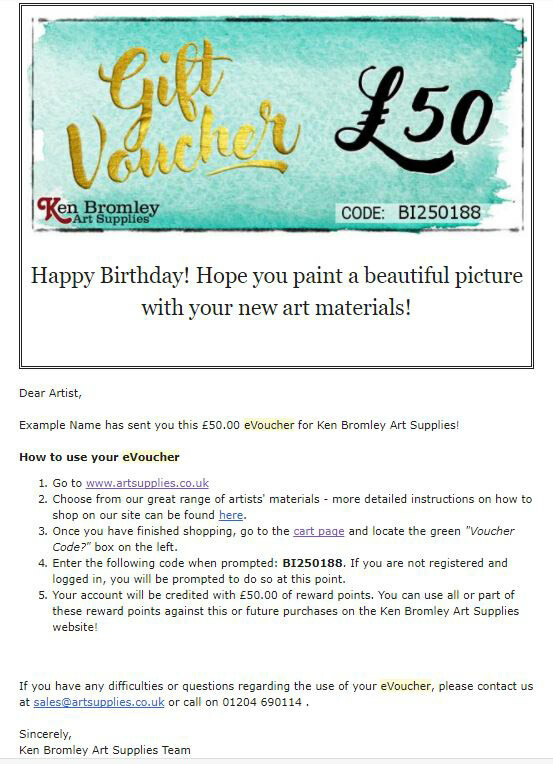 When you have completed the payment process you will receive an email receipt as with any order placed on our website, but you will also receive an additional email letting you know that your eVoucher has been sent to the recipient.